Greg “Ghostcrawler” Street posted this bit about Archaeology in The Cataclysm Post Mortem series. I have mixed feelings about Archaeology. I feel like it’s a good addition to professions and offers more, and more varied, gameplay than our existing professions. Still, it’s clear that some players wanted more. We wanted Archaeology to be hard to complete. 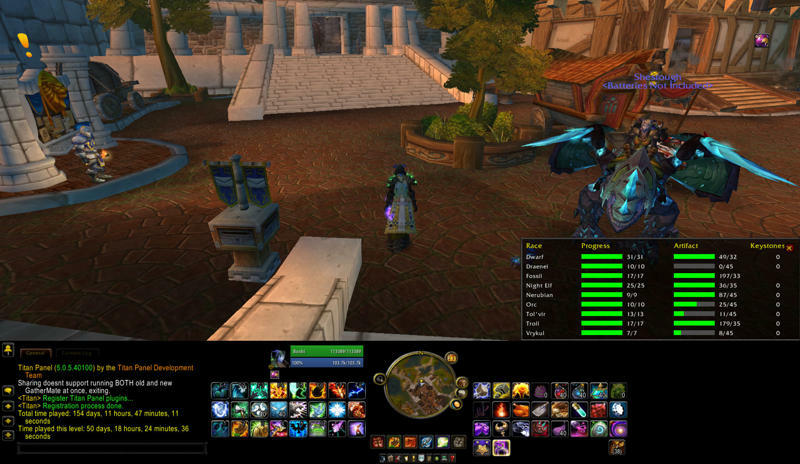 We didn’t want it to be one of those professions you can max out by buying up mats at the Auction House. But random reward systems whose long-term goals are more interesting than the short term ones can feel grindy. Archaeology had too much travel time. It could be punishingly random, especially for players who imagined that it would be a guaranteed delivery mechanism for Zin’rokh (which was never the intention). 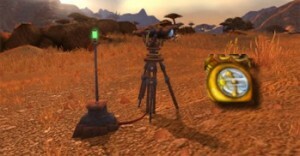 Players missed a lot of the lore, which was delivered in the Archaeology journal and not as part of the survey or digging experience. We think the Mists of Pandaria expansion will be really good for Archaeology. Players will be focused on a couple of new races on a single continent, so travel and randomness will be reduced automatically, and leveling Archaeology should be a bit more convenient since there will be more opportunities to dig at a single site. We have other tricks up our sleeve too. View the full Interview on our Forums, here! forum poster Tiggindy. Just wanted to share this everyone, enjoy! Thank you to Tiggindy for participating with this. How did you approach archaeology? You’ve spoken about how you’ve disliked archaeology, we’d like to know specifically what you’ve not liked. I’ve read the battle.net forums and the mmo forums about archaeology as a guilty pleasure, I’ve had the impression that you’ve either been apart of these threads for own pleasure of arguing the detail with people, or you truly have hated archaeology to the point you’ve chosen to spend this much time to vent your feeling about archaeology, which is it? You’ve spent a lot of time talking with other people in the forum community about archaeology, can you give us a general idea of how other people feel? Read the Full Interview here on our Forums! With Patch 4.3 bound to hit the PTR soon, many of us are expecting some love from developers for Archeology as this last giant ‘content patch’ for Cataclysm. We’ve already had (non-Archaeology) sneak-peaks at some new features in the patch, such as Void Storage. Hopefully will get some additions or general changes to bring some folks back to Archaeology, sustain its current following or even scoop up some virgin surveyors. 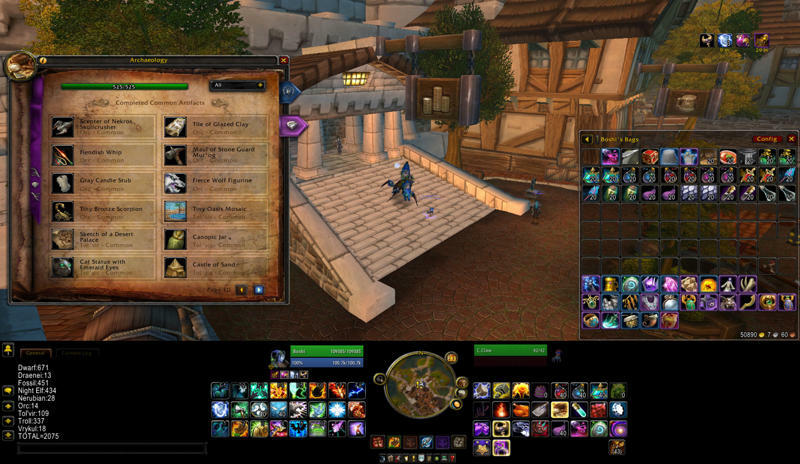 Either way, WoW Dig Site will be ready with an up-to-date ‘ultimate’ Guide for the profession. Jinze from MMO-Champ has graciously allowed us to build upon the past wining-guide with the intent to update it into what we want as the Complete Guide to Archaeology. Check out Jinze’s Thread: Archaeology – And all it’s dusty little secrets! here. With that said above, we’re open to any ideas or general thoughts on such a Guide! What should be in the guide that is not already generally covered? What is missing from the Past Version? Anything you think relevant for the Guide! Expect a draft posted on these forums soon. 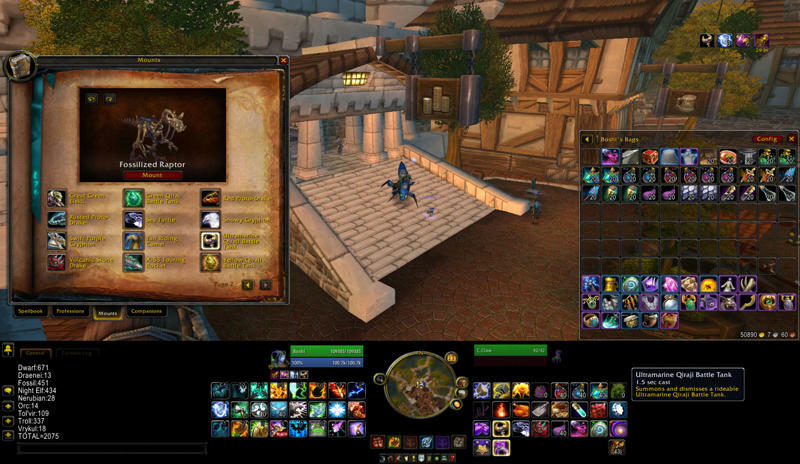 Below is the long over-due interview with Scut , second to claim all 32 rares! Thanks to Morpsend for opting to conduct the interview & to Scut for taking the time to talk with us. Morpsend: Why did you get into archaeology? Scut: Originally, I started just because I wasn’t into raiding as much as I was in the past, and I also wanted to get the Bug mount. I have wasted a lot of WoW-hours afking, searching for rare spawn mounts (TLPD, Phosphorescent, now the Camel), so grinding through arch to get a cool mount was worth it. Morpsend: Did you use any mods or helpful macros? Scut: I used ArchDB and Archy to track my progress, but other than those I had nothing. I bound my dig key to a mouse button and used click to move to make digging less painful. 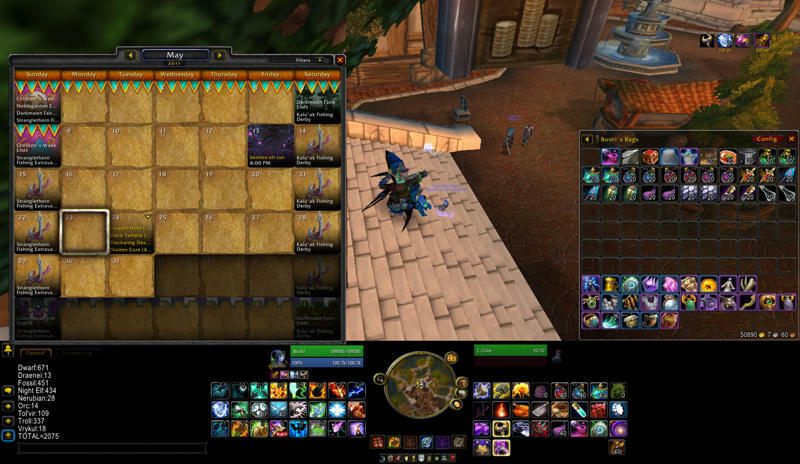 Now the only macro I use makes me use most of my arch items at once while attention whoring in Orgrimmar. Morpsend: Did you do anything to help you while digging, like watching tv, listening to music, or anything? Scut: I definitely always had the TV on and iTunes open, but I also started trying to get better at chess while I was flying to a digsite. More often than not, I would have WoW in windowed mode while either playing chess or watching a movie. Morpsend: Did you plan to go for all 32/32 from the start? Scut: No. At the start I wanted just the Bug mount, but when that didnt come until my late teens (solves), I figured I should push for Professor (back in Feb.) Being a rogue, just about all of the rares are completely worthless to me, so I spent downtime enchanting them with awful enchants and linking them to friends (22 INT/ Spirit Reforge on Troll sword). It seems everyone has at least one rare that takes a ridiculous time to queue up, and luckily for me it was the Nelf rare trinket. With so many Nelf sites, I was able to find it faster (even if it was around 500 solves) than someone looking for a Troll rare. After I got Professor I essentially stopped doing arch, and then later stopped playing WoW all together. When I later re-subbed I figured that since most of my friends either quit or transferred, that I might as well go for all 32. Morpsend: What would you like to see in the future from archaeology? WoWDigSite has often been asked if there are any players with all the rares in the game, well we now have a report of someone with all of them as of May 23rd. If you have also reached 32, then send us a message and congrats! Apparently is was a tight race between a few commenters/fellow archaeologists. However, Boshi (US Malorne) has claimed the last rare artifact needed for 32/32 today. You can logon to Boshi’s Archaeology Addicts Anonymous (US forums) & chat about your own feats. View this gallery by clicking here. Do you know of other people who have reached the 32 rare mark? If so feel free to contact/correct us! Are you curious about how much time (on average) you spend surveying for a project? Well then you’re not alone! Below is a fellow archaeologist who is looking to answer that and they’re asking for your input/help! If we can get a group of people to time themselves solving projects we can average them out and give everyone a number to expect it will take per solve. Open the stop watch at the bottom of you minimap and start it once you start to dig. Dig until you have completed 10 artifacts. If you are not using a flying mount then please specify your riding skill. If you get a rare during those 10 solves please solve it, and start over. Make sure to stop and start your stop watch any time you are not 100% devoted to archeology. Such as: if you get a tell and hold a conversation mid digging then stop the time. (Conversations while in flight to next dig sites are fine) – Also if you afk at any point, stop the time. If you plan to use keystones during the process please add in your reply if you used them or not, and say how many stones you used. We are looking to get usable avg time it takes to solve an artifact. Keystones will affect the numbers we get. It would be helpful if you do not use keystones. The more people we get to participate the more accurate an avg number we will have. We are discounting the time it takes to get a rare in the grand total due to the fact that it would skew the numbers if someone was solving a rare in the 10 solves. We are assuming the extra time to solve a rare is so very small when considering the total time as to discount it completely. Personally I’ve solved 2957 solves total, and only 30 rares. The extra time it took to make those rares wouldn’t come close to changing my average. Example: I timed myself doing 100 solves which took 1182 minutes for an average time of 11.82 minutes per solve. I used zero keystones. I completed these 100 solves in Kalimdor in 4.0.6. I did not solve a rare during these 100 solves.